Hero-X has dumped a ton of new information on their Twitter regarding how they plan to celebrate the 35th Anniversary of the Transformers! 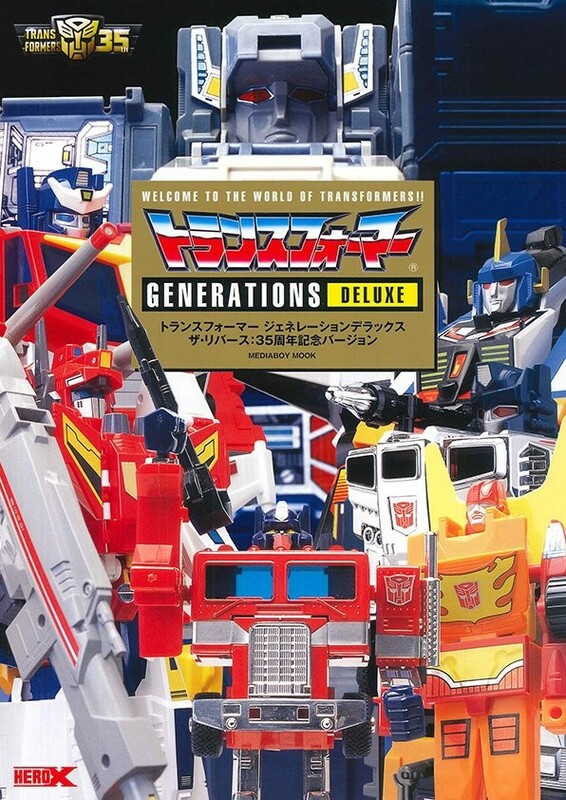 Up first, they have announced they are re-releasing the Transformers Generations Deluxe book, now titled Transformers Generations Deluxe The Rebirth 35th Anniversary Version. This book was last released about 5 years ago, and is an item that is highly sought after by many collectors. The book was originally released in 2001 and features a large collection of both images and information regarding toys from Generation 1, Generation 2, Machine Wars, Japanese exclusives, and European exclusives. There is also a bunch of bonus content related to prototypes, illustrations, and unused concepts. This book will be available in mid-March, and will be 2800 yen plus tax, though no order links are yet active. 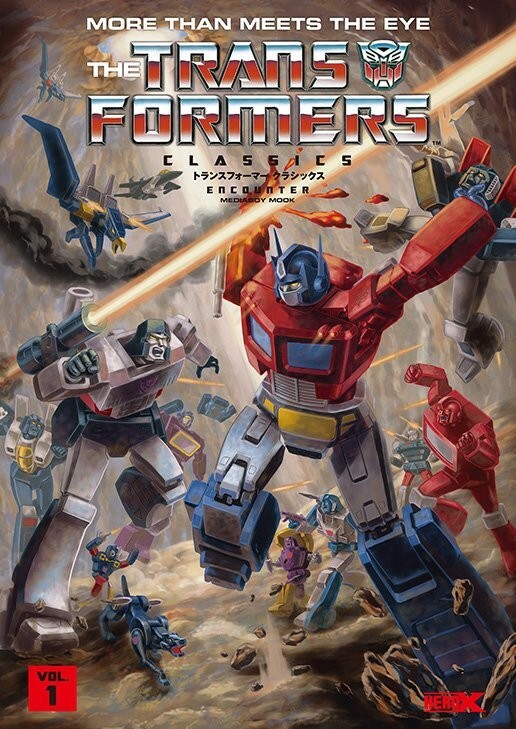 Up next, we have a re-release of the Japanese version of Transformers Classics Volume 1, which has been renamed "Encounter" after a Publisher change. This book will be available at the same time as the Generations Deluxe book in mid-March for 2560 yen plus tax. It collects Transformers #1-4. 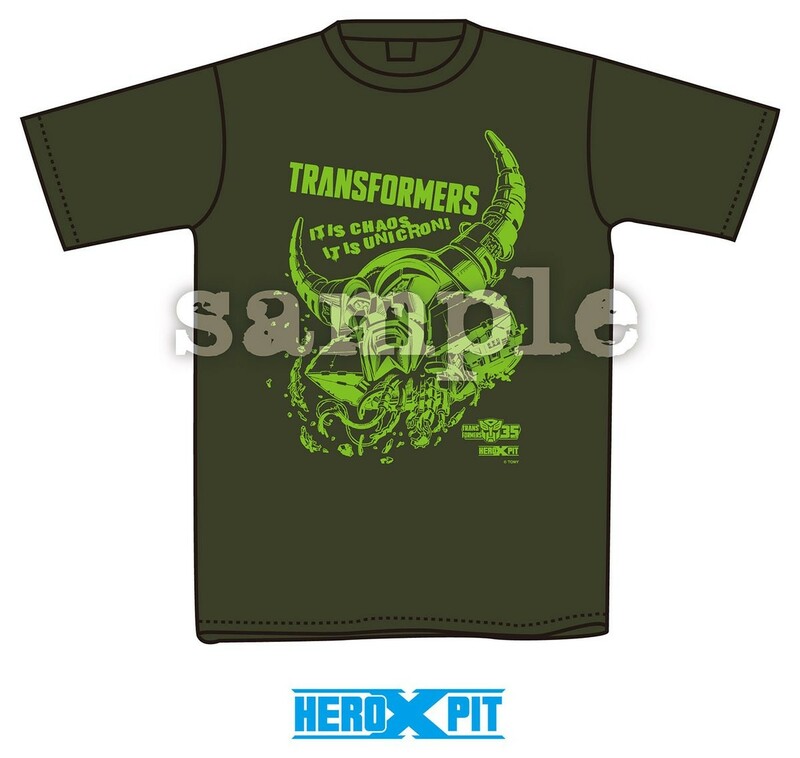 Lastly, we have a prototype shirt that Hero X will be releasing for the 35th Anniversary! This shirt features an awesome shot of Unicron's head, done up by Japanese artist Yuki Ohshima. While we have no link or price for this shirt yet, it appears to also be a limited release to certain Japanese stores. Check out the images of the books and shirts below, and let us know what you think in the comments section below! I think I have the 2005 version of the generations book, if there is substantial new content i'll consider upgrading.